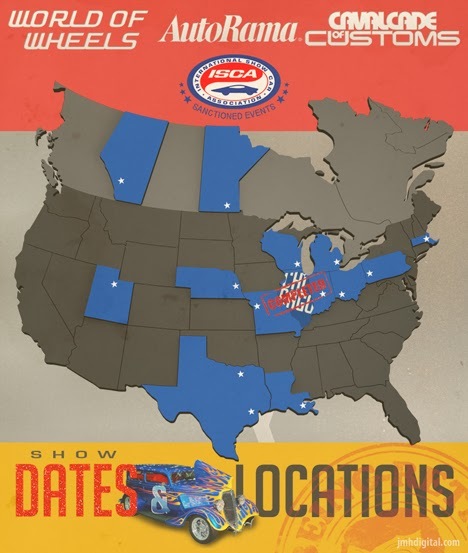 Howlin' Wolf Records: SIX STRINGS: World of Wheels 2014... Maybe Rolling into your Town! World of Wheels 2014... Maybe Rolling into your Town! This year we had the great opportunity to cover "Autorama's WORLD OF WHEELS" this last month and as you all know I managed to break my ankle. So sadly I was not able to attend, I know the sadness is hitting everyone of you. Good news I was able to have our favorite Photographer Stephen make his way to this awesome event and I will be glad to share the photos with you very soon. I wanted you all to see if this show in it's remaining dates for March is coming near you. Anime Central (ACen) is Coming! Walker Stalker Con ... Want to know More? PHANTASM: RAVAGER!!! and Teaser Trailer!!!! CLIFF MARTINEZ ANNOUNCES NEW PROJECTS! Varese Sarabande: SHARES SOME OF THE CLASSICS! Vampyres: RAISE THE DEAD... Support this film! NINJA 2: SHADOW OF A TEAR!